With 3 billion cups consumed worldwide and 1.4 million pounds of tea consumed everyday in the US, tea is definitely a popular beverage. The popularity of tea is a worldwide obsession making tea a global drink of many. 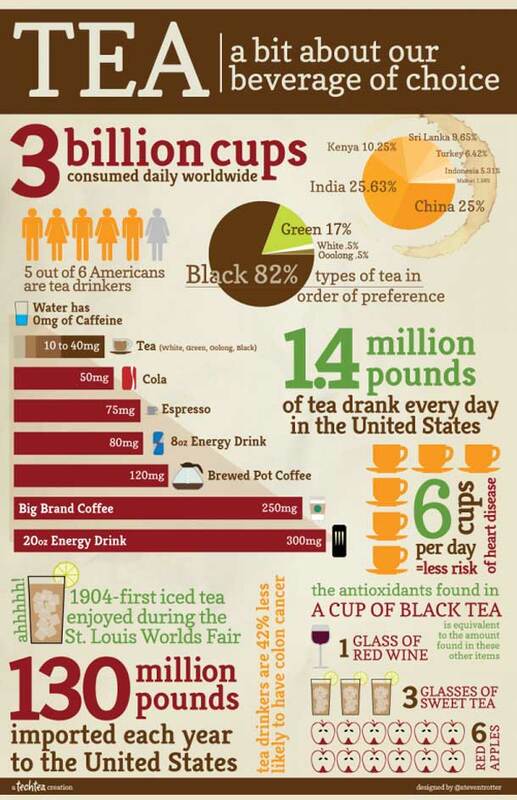 This infographic looks at tea time around the globe and who is drinking what.